It’s battles, betrayals and the bizarre as only Byrne could bring you! 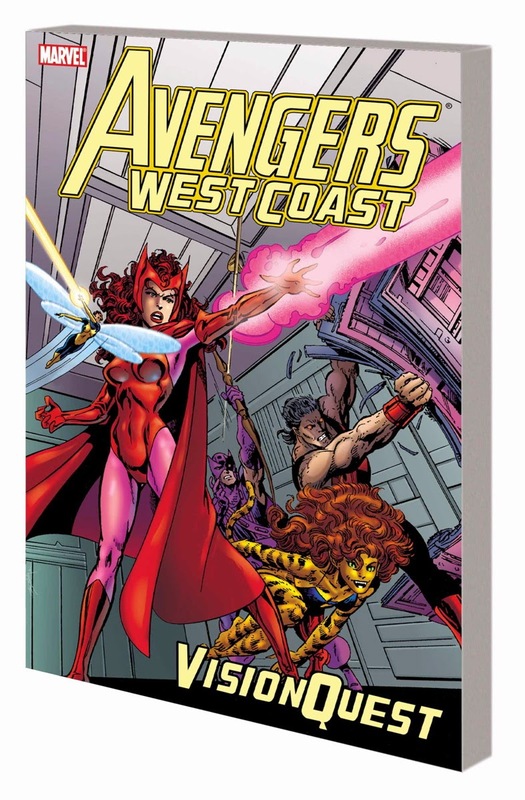 Watch as one of comicdom’s most recognizable talents remakes the West Coast Avengers, starting with the capture and dismantling of the Vision! As secrets about the synthezoid come to light, the Whackos are determined to get their teammate back, safe and sound — but what happens when the Vision they recover isn’t the Vision they remember? And most important, how will this shocking change affect the Vision and the Scarlet Witch’s marriage…and family? Plus: Ancient secrets of humanity revealed! The Scarlet Witch’s first step into the descent that disassembled the Avengers! The debut of the Great Lakes Avengers! And featuring the triumphant return of one of Marvel’s hottest golden age greats: the original Human Torch! Collecting WEST COAST AVENGERS (1985) #42-47 and AVENGERS WEST COAST #48-50. The unlikely romance between the Vision and the Scarlet Witch was one of the Avengers’ most famous storylines. Now, witness what happens when the two heroes finally get hitched and settle down in the suburbs! If you think they’re going to live the quiet life, think again! See how a match made in heaven led to a wedding in Limbo, and how a Halloween horror proves that there’s still magic in their marriage! Plus: A golden age mystery with ties to the Witch’s past is solved! The Vision bonds with his brothers in all but blood — but who is the Scarlet Witch’s father? Marvel’s oddest couple shows that home is where the heroes are! Guest-starring the Avengers and the Inhumans vs. Dormammu, the Grim Reaper and more! 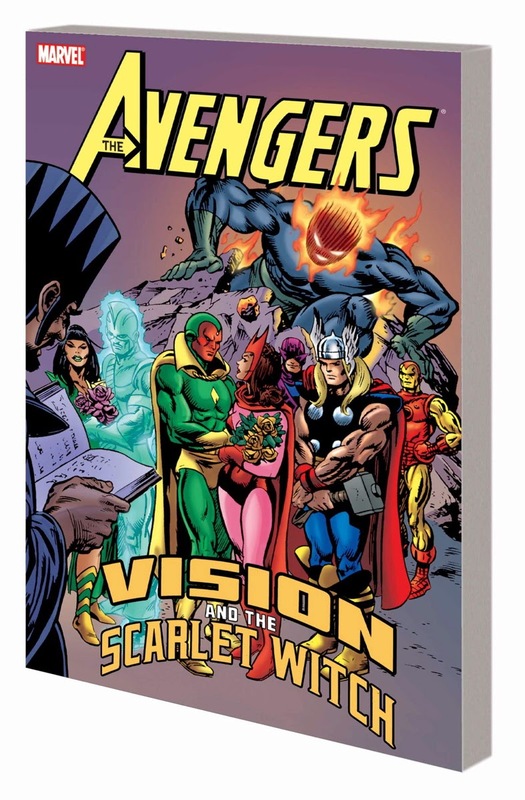 Collecting GIANT-SIZE AVENGERS #4 and VISION AND THE SCARLET WITCH (1982) #1-4.